Collaborating with Pillsbury, 7-Eleven releases the new Pillsbury Stuffed Waffle. The new hot breakfast item was developed and co-branded with Pillsbury. 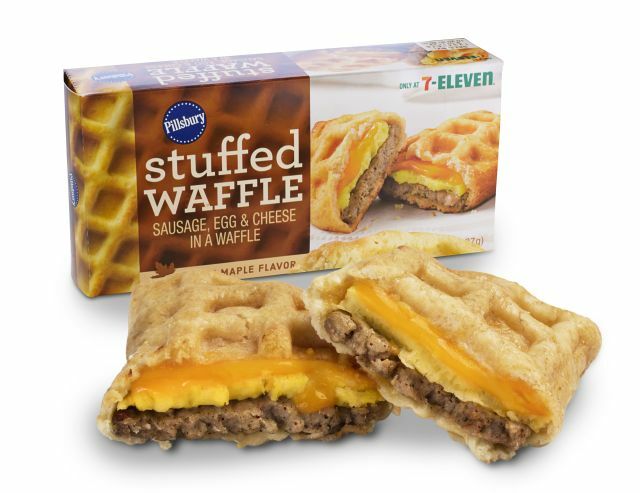 It features a crispy, maple-flavored waffle shell with a filling of egg omelet, pork sausage, and cheddar cheese. The suggested price on the portable stuffed waffle is $2.49. You can find it in the hot grab-n-go section at participating 7-Eleven stores. It's available throughout the day and night.